This is a technical article about how to get CUDA passthrough working in a particular Linux container implementation, LXC. We will demonstrate GPU passthrough for LXC, with a short CUDA example program. Linux containers can be used for many things. We are going to set up something which is like a light-weight virtual machine. This can then be used to help with clean builds, testing, or to help with deployment. Linux containers can also support limiting resource access, resource prioritization, resource accounting and process freezing. Linux containers are built on two features in the Linux kernel, cgroups, https://en.wikipedia.org/wiki/Cgroups, and namespace isolation. There are several projects building on these kernel features in order to make them a bit easier to use. We are going to use one called LXC. You can read about it here: https://linuxcontainers.org/. Here is how to get CUDA working in a container on Ubuntu Server 15.04. First install Ubuntu server 15.04 in the usual way. After doing this, it is probably a good idea to reboot, to avoid the possibility of having issues connected to the systemd upgrade bug mentioned in the sidebar. after rebooting to finish the apt-get install. I think this is because of a bug in the Ubuntu package upgrade for one of the dependencies of systemd. If ‘sudo reboot’ hangs, you can ctrl-z it into the background (it might eventually time out with an error after several minutes), then run ‘sync;sync;sync;’, then do a hard reset and the system should recover OK after you run the apt-get/dpkg recovery commands above. Next we’ll install the Nvidia driver on the host operating system. We will install from the Nvidia driver .run installer. You will probably have an issue where the Nouveau kernel module has been loaded by Ubuntu. We don’t want this because it conflicts with the Nvidia driver kernel module. Then we should reboot so that we are running without the Nouveau module loaded. Here is where you can get the driver from Nvidia: http://www.nvidia.com/object/unix.html. I used Linux x86_64/AMD64/EM64T – Latest Long Lived Branch version: 352.21, which has the filename ‘NVIDIA-Linux-x86_64-352.21.run’. This driver is compatible with CUDA 7.0. In order to install the driver from source we’ll need gcc and make. We don’t care about the Xorg stuff on a server, when the installer asks about it just ignore it or tell the installer to do nothing. You can check that CUDA is working on the host machine at this point, by installing the CUDA SDK and compiling and running a simple CUDA program. There is an example program at the bottom of this post. There is also a precompiled exe linked at the bottom of the post which might work on your system and you can avoid having to install the CUDA SDK on the host at this time. if you run Xorg, it should be less error prone to get it working than when you are using the Nvidia .run installer. The default Nvidia packages are not kept up to date enough so they are often not new enough for the latest released CUDA version. This isn’t the case right now with Ubuntu 15.04 and CUDA 7.0 – the versions are compatible if you install the nvidia-346-updates package in Ubuntu. Often, the dependencies for packages for the Nvidia drivers/CUDA pull in huge amounts of Xorg, Gnome and other stuff which we are not interested in when we just want to run CUDA apps on a server. Packaged drivers sometimes have poor permissions which makes the Nvidia driver only usable by root so you can’t run CUDA as a normal user. This can be fixed e.g. by changing the group on the /dev/nvidia* files and then adding your user to this group. You can debug issues with permissions by seeing if a CUDA program will run as root, but not as a normal user. Sometimes, you will not be able to run CUDA as a normal user after booting, but you will be able to run as a normal user after running a single CUDA program as root first. Packaged drivers sometimes put files in weird places. I only noticed this with Ubuntu, which puts libnvidia-ml.so and some other files in a really useless place. You can work around this by e.g. symlinking these files to /usr/local/lib. You often won’t need these files so you might not notice this issue. These issues will sometimes apply to installing the Nvidia drivers on other Linux distributions. Replace your-username with the user you are using. This is to support networking to the container. These should match the numbers in /etc/subuid, /etc/subgid for your user. Use ctrl-d to exit the container back to the host system. Use the IP address from the output of lxc-info in the two following commands. At this point, if you have a simple CUDA test exe, you can scp it into the container and check it runs OK.
You probably don’t want to do normal development in a container, and you definitely want to avoid leaving the CUDA SDK or g++, make, etc. installed on either the host or container for production. One good use for installing the CUDA SDK into a container is to create a convenient way to do repeatable production builds of your CUDA exes. If the permissions, owners, module major and minor numbers are different to the above, or any of the files are missing, then there is a problem. I didn’t see any problems like this following the instructions in this post directly, but only when experimenting and trying different things. This should work for privileged containers also. For non-LXC containers, you will need to figure out how to make the Nvidia device files on the host available in the container, and to install the Nvidia drivers in the host and install them in the container without the kernel module, or just expose these files from the host. Maybe you want to try running the container on something other than Ubuntu 15.04. 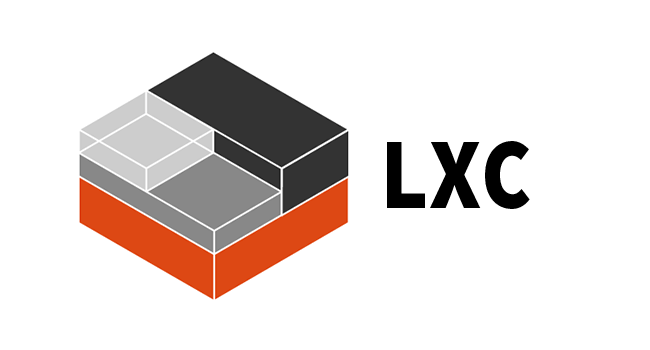 You can install the latest stable LXC release from source on your distribution of choice, install Nvidia driver on the host system, then create a container as above. On different systems, the big difference is likely to be in the networking setup for the container. Also, on some systems you will have to add some entries to the /etc/subuid and /etc/subgid files. One thing you have to be aware of is I think the Nvidia driver files (.so files etc.) have to match the kernel module version, so you need to make sure the versions are exactly the same in the host and the container. This might be tricky e.g. if you install Nvidia driver on the host using the host packaging system, then try to run a different Linux distribution in the container. The CUDA SDK version doesn’t need to match the Nvidia driver version, it just needs to be a compatible version. Running a CUDA program will tell you if the Nvidia driver you have is compatible with your CUDA exe or not. The other issues are the possible problems with Nvidia permissions on the host (easily solved), and the device/permissions issues mentioned in the sidebar above. If there is a problem, you will almost certainly get an error message, so you shouldn’t need to go through the output to make sure the numbers match! You have to have the CUDA SDK installed to compile this.